First official photograph showing American troops in Germany. 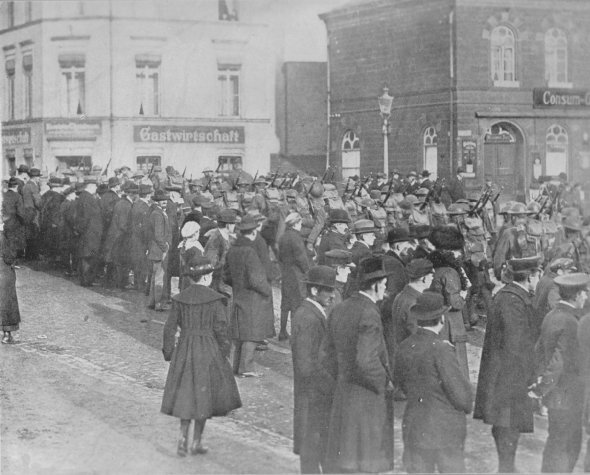 Stolid, silent crowds watch the doughboys of the American 1st Division marching into Treves, the first large German city to be entered by the American Army of Occupation. The Americans would prefer marching in Hoboken.